Yes, I missed my 3-month update…ugh! Much has been happening on the genealogy/family history front here…a small family reunion, getting my DAR application put together, plus 2-3 Civil War applications. I have copies of copies of copies EVERYWHERE! My Mom found a good picture of my 2nd-great-GM, Hannah Katherine (Hanby) Ballard, so I thought I’d share a bit of her life with you. 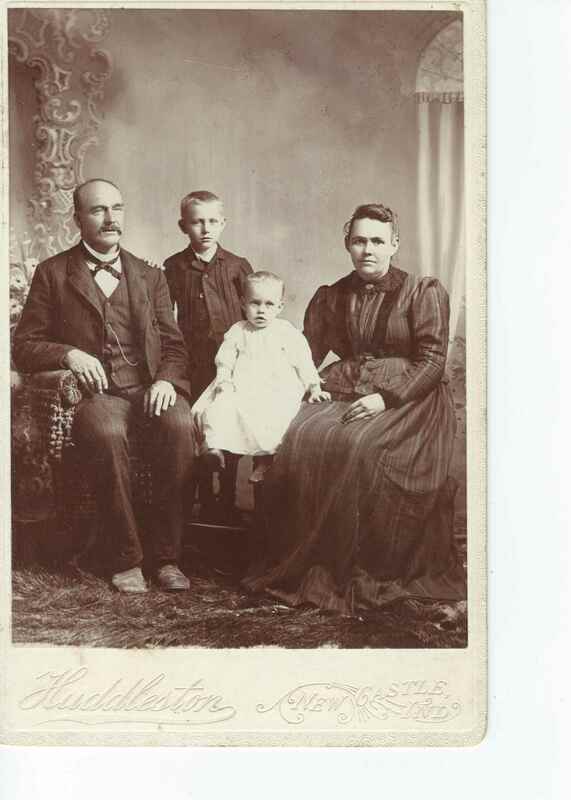 Hannah Katherine (she went by Kate) was born on January 1857 in Darrtown, Butler County, Ohio, to William Clinton and Hannah Ann (Fowler) Hanby. She and her family moved to New Lisbon, Henry County, Indiana, when she was approximately 7 years old. Sometime during 1873-74, she met Dr. Amos Benton Ballard who was a newly-minted physician/widower/divorcee with one son (Everett Guy) and had set up shop in New Lisbon, IN, in the latter months of 1873. By 31 August 1874, Kate and Amos were married. Kate was 17 years Amos’ junior. 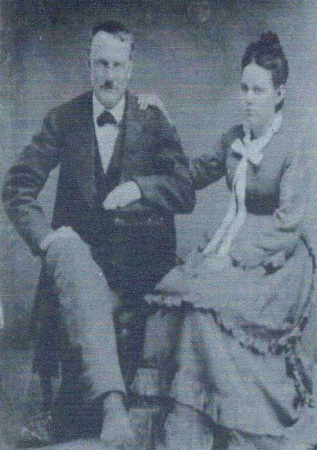 Dr. Amos B. Ballard and Hannah Katherine (Hanby) Ballard, picture taken probably shortly after they wed. They began moving around East-Central Indiana, from Henry County to Jay County, then Randolph County. Their first child, a son, William Benton, was born in 1879 in Jay County and died 3 years later of “brain congestion.” I’ve searched Jay County for his final resting place but have been unable to locate it (Amos’ eldest son, Everett, actually took a picture of it that I have but he didn’t identify the location other than for saying “Green Township, Jay County”). In Randolph County, Dr. Ballard served as a physician and a preacher, marrying several different couples. During this time, three more sons were borne to them: Clarkson (“Clarkie”), George, and Harvey. Shortly after Harvey’s birth in October 1890, Kate took her three sons via train to visit her family in Henry County. Dr. Ballard stayed behind due to being busy as a country physician. Unfortunately during this trip, Clarkson and George fell ill with diphtheria. Kate returned to Randolph County where Dr. Ballard met them at the train. They lost Clarkson on 6 January 1891 at age 9 years old. George survived and wrote a letter detailing these events. George wrote that after Clarkson’s death, Kate’s grief was too much for her and they moved back to be near her family in New Lisbon. Finally, in 1894, their final child, another son, Willard Marion, was born. If Kate thought she was out of the woods as far as bad things happening to her, she was not. 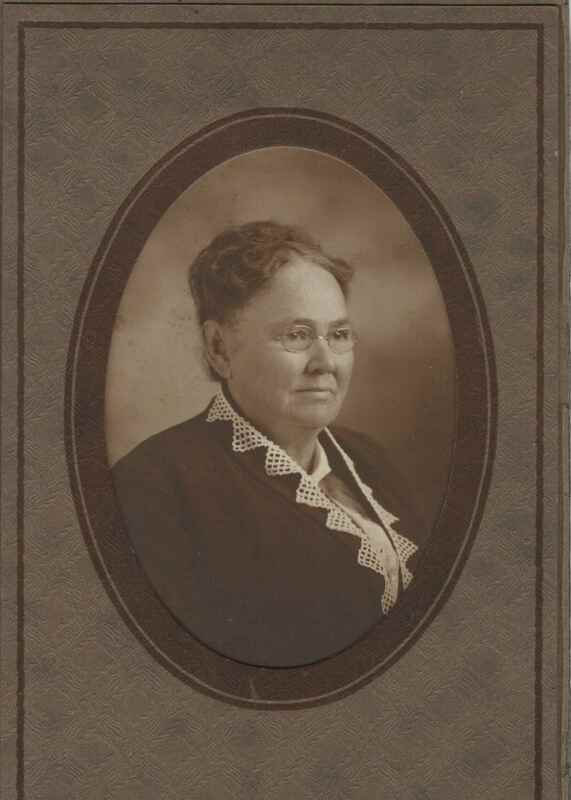 Her mother passed in 1894, then Dr. Ballard in 1897 while he was visiting his eldest son, Everett, in Madison County, IN. Not sure who the two young boys are between Amos and Kate, possibly the youngest two. On the 1900 census, Kate is enumerated as living in Sulphur Springs, Henry County, IN, with her sons Harvey and Willard; George moved to Oregon shortly after Dr. Ballard’s passing. It is noted on that census that Kate reports 5 pregnancies, 3 surviving children. On the 1910 census, Kate is still living in Sulphur Springs, now with just Willard, and again she lists 5 pregnancies, 3 surviving children. I have been unable to locate her on the 1920 census. The last census on which she was enumerated, the 1930 census, she was living with her youngest son, Willard, in Middletown, Henry County, IN. She died in 1936 and is buried next to Dr. Ballard and their son, Clarkie. Education: I mentioned on Twitter last week that I had received 3.5 hours of no-expense-to-me genealogical education via 2 webinars and my first-ever Google Hangout. The first one was entitled “Hunting for Henry: A Case Study Using Collaterals” presented by Teresa Steinkamp McMillin, CG, and offered by the Illinois State Genealogical Society. Excellent case study regarding a German immigrant (see my Paul Mayer). 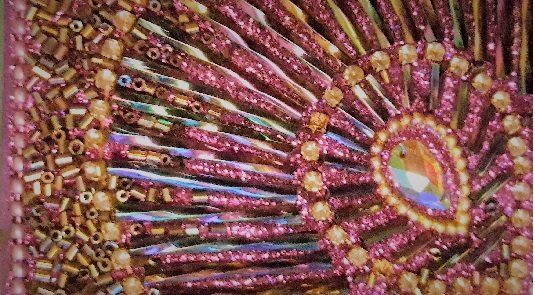 The next day, I had the honor of listening to Judy G. Russell, JD, CG, CGL, discuss “Kinship Determination: From Generation to Generation.” This was offered by the BCG. Ms. Russell presented the material in such a way so as to remember that what we do is FUN! This also covered BCG Certification Requirement #7. Right now, I’m trying to decide what ancestor to begin with for my KDP (kinship determination project). Lastly, I sat in on a Google Hangout to cover how to get started using Evidentia. Evidentia is a software that captures your sources and gives them a voice. If forces you to cite your sources and analyze them and attach them to a subject. I won’t lie, it intimidates me and I was so glad that the software developer, Mr. Ed Thompson, decided to offer these beginner sessions. Upcoming news: Going to a Genealogy/Family History Day at the Indiana State Library this weekend…this is exciting because I’m bringing my oldest son along with me. The library had ghost hunters do a year-long investigation of the library, and they will be discussing that. He is big into ghost hunting so I thought he’d enjoy it. Plus, big news on my research biz! Recently, I was inspired to go for it and get it started. I still work my regular day job but I’m moving closer and closer to taking clients!